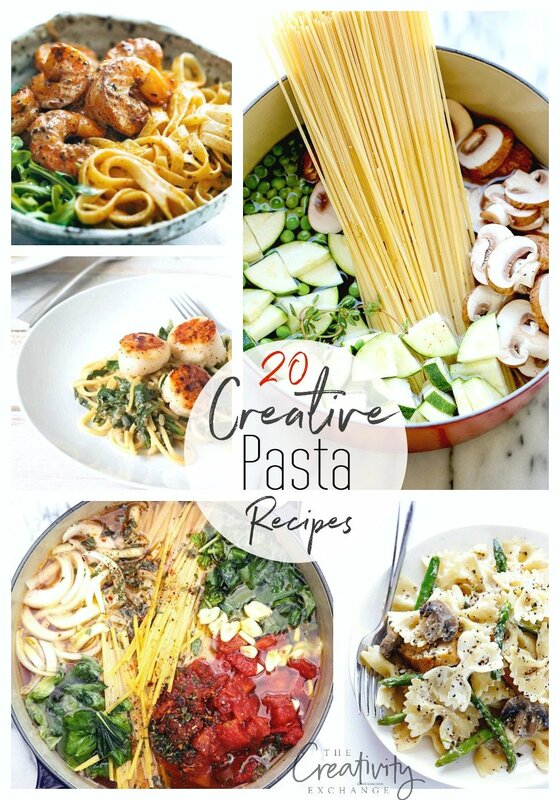 Pasta is such a simple ingredient, often made with only flour, water, eggs, and salt, but the variety of rich and flavorful dishes you can make with it might surprise you, as you’ll see with these 20 creative pasta recipes to try. 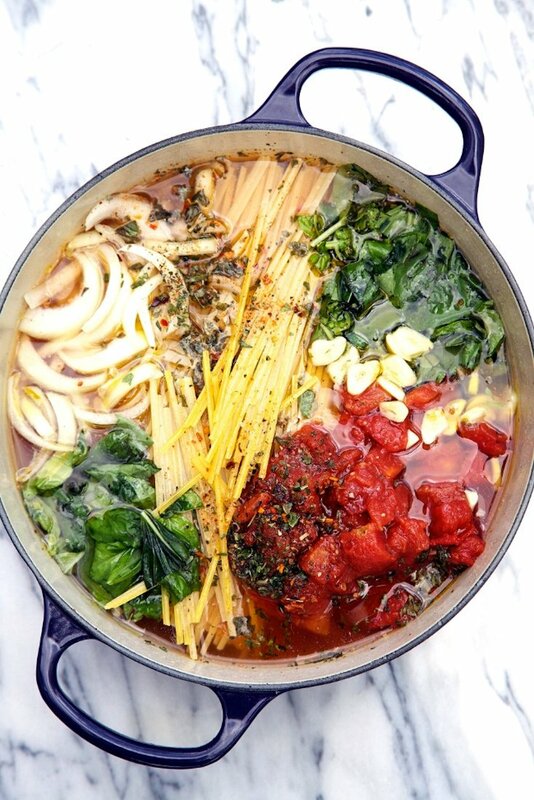 Even better, pasta dishes easily lend themselves to one-pot meals because many don’t require any precooking outside the pasta pan. To boost the nutritional value of your pasta dishes, opt for a whole-wheat, chickpea, or vegetable-based pasta. For a heartier dish, use a potato-based gnocchi. If gluten is a problem for you, swap in your favorite gluten-free pasta, or try a fun spiralized veggie. Look around, and you might discover lots of interesting pastas that sound good to you. Play around with pasta shapes, too. Some recipes call for certain pastas, like fettuccini or shells, but feel free to experiment with other shapes and sizes. Cavatappi (spiral tubes), penne (tubes cut at an angle), fusilli (corkscrew), farfalle (bowties), radiatore (they look like little radiators! )—these are just some of the dried versions available. Many filled pastas like tortellini or ravioli are also waiting for you to try them. When I first cut meat from my diet, pasta stepped up as a transitional replacement in my menu (along with more nutritious fruits and vegetables, protein-packed beans, etc.). Whether you follow a plant-based diet or want a filling “meatless Monday” dish, check out these vegetarian recipes. Bursting with classic Italian flavors, this One Pot Wonder Tomato Basil Pasta takes just one pot, a little prep work, and 10 minutes cook time. So easy! 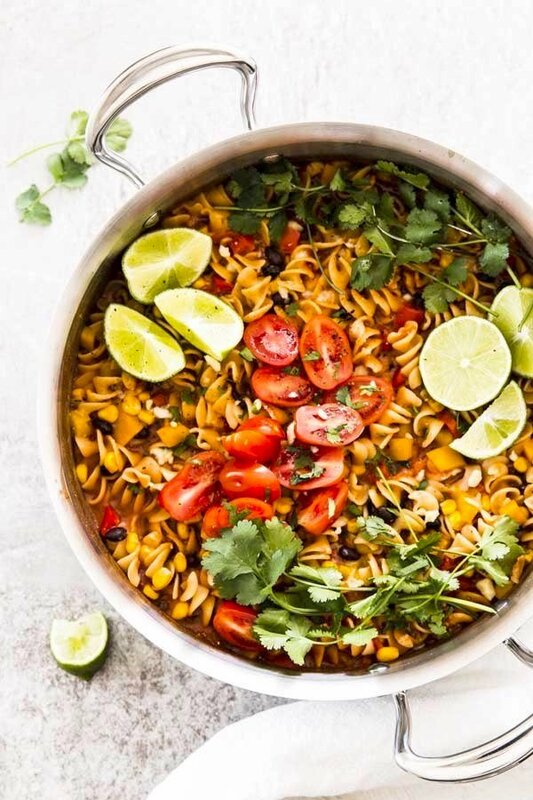 For a quick and easy Mexican-inspired dish, you can’t miss with One Pot Black Bean Enchilada Pasta. 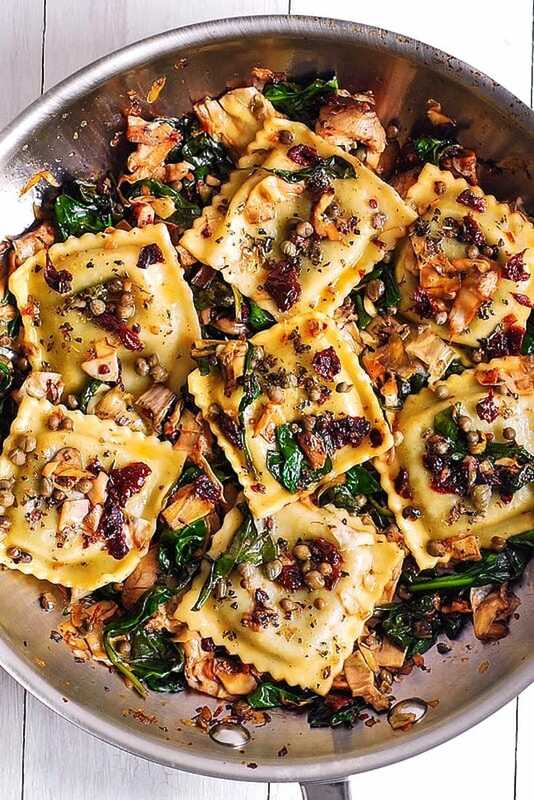 Pesto-filled ravioli pairs with sublime Mediterranean flavors in this Italian Ravioli with Spinach, Artichokes, Capers, Sun-Dried Tomatoes. 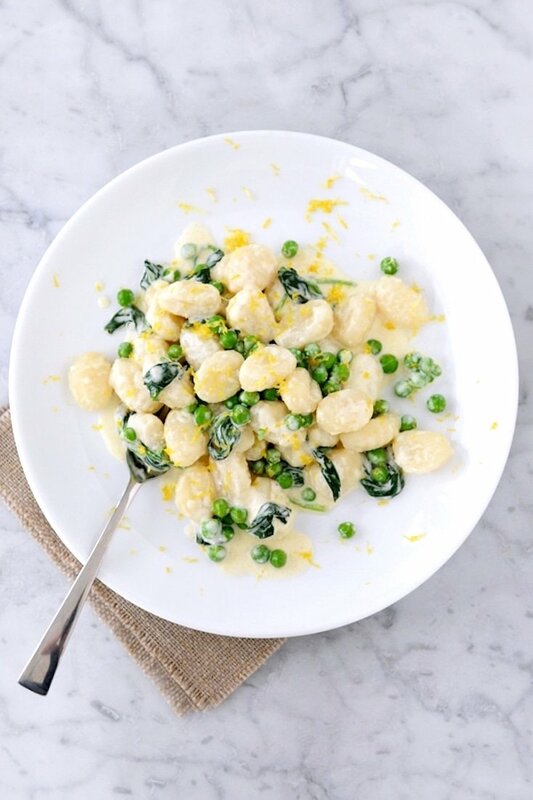 Gnocchi (a small potato dumpling) stands in for traditional pasta in this light, creamy, and delicious Lemon Gnocchi with Peas and Spinach. 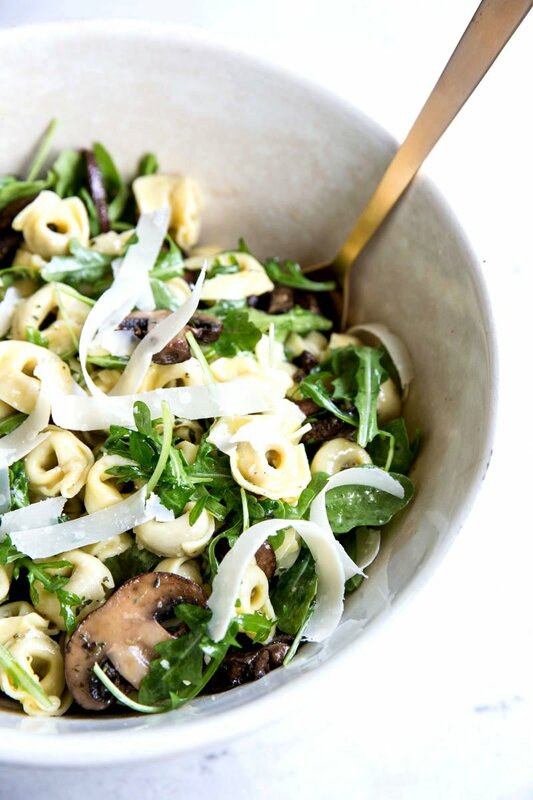 Bring this flavorful Mushroom and Arugula Pasta Salad to your next pitch-in, and you’re sure to get lots of requests for the recipe. 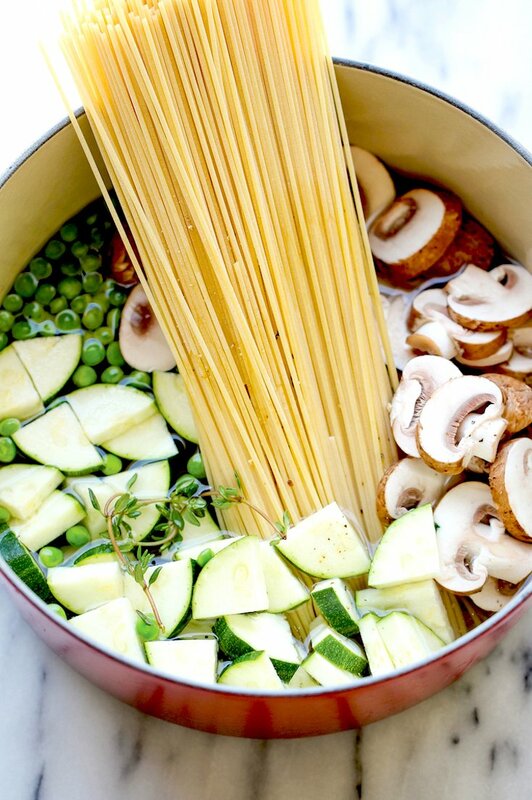 You won’t believe how creamy, delicious, and easy this One Pot Zucchini Mushroom Pasta is. 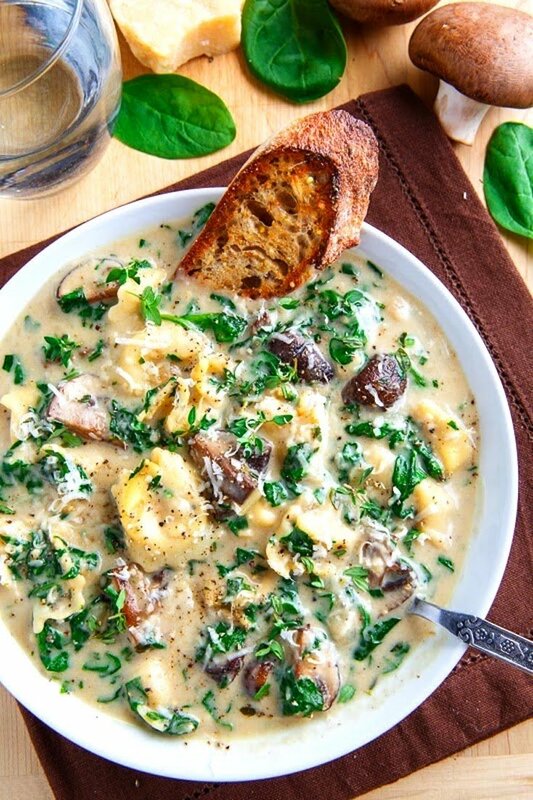 Just right for chilly winter days, this Creamy Parmesan Mushroom and Spinach Tortellini Soup will warm you from the inside out. Because pasta cooks relatively quickly, it pairs best with quicker-cooking proteins. Seafood, meet pasta. If you’re a fan of rich and creamy seafood Alfredo, you’ll love Cyndy’s Creamy Seafood Alfredo Linguini that’s lighter than many restaurant versions. 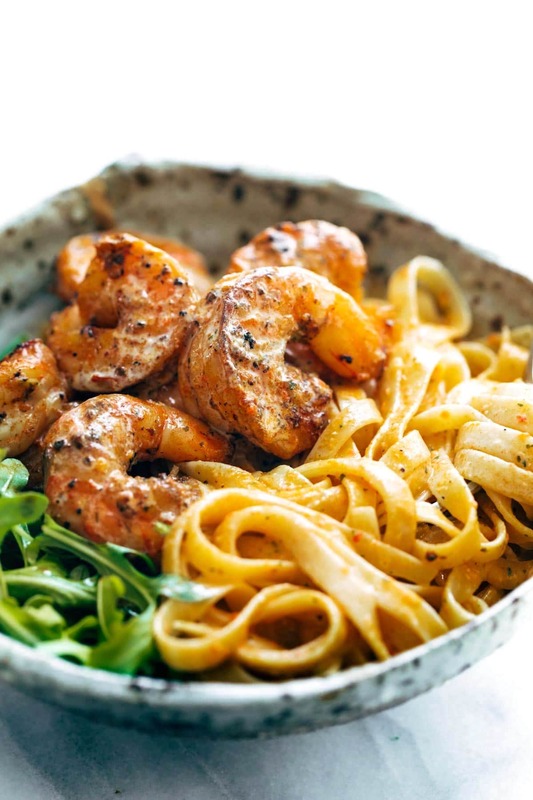 The secret to this Red Pepper Fettuccine with Shrimp is an amazing red pepper garlic butter that flavors the shrimp and pasta beautifully. 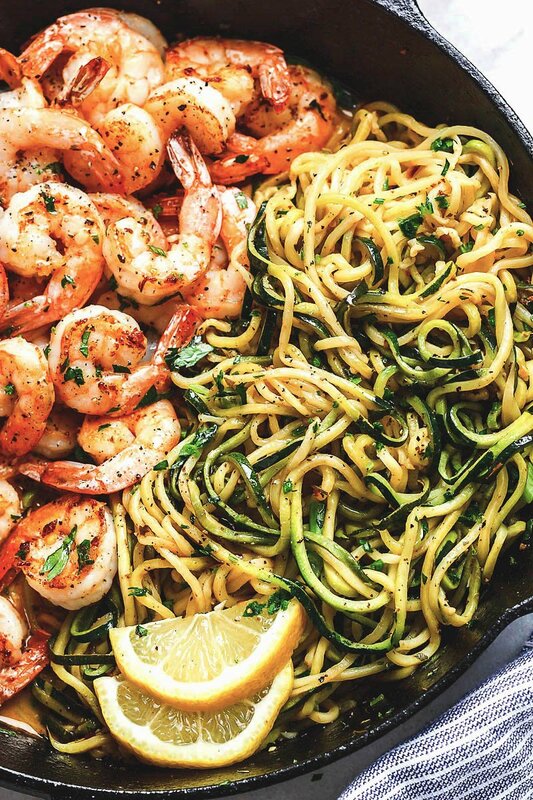 There’s so much flavor in this 10-Minute Lemon Garlic Butter Shrimp with Zucchini Noodles I don’t know where to start, so instead I’ll point out the fresh and fun zucchini noodles made with a spiralizer or julienne peeler. 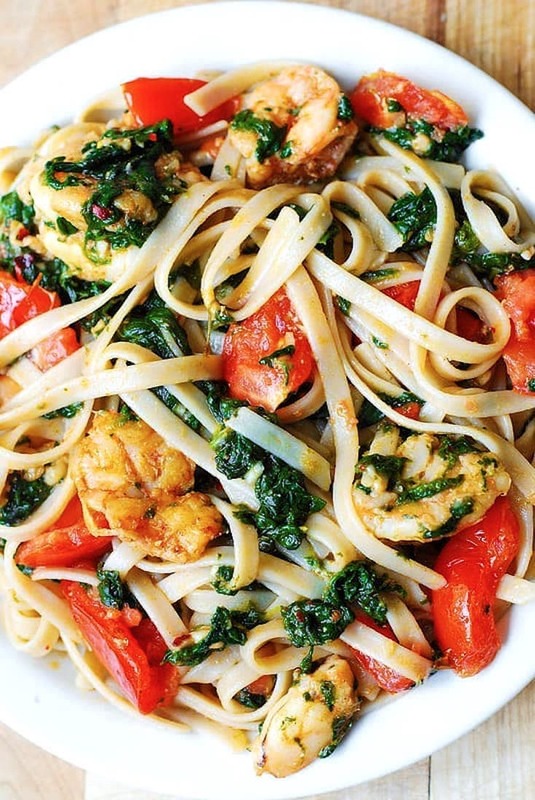 In this Shrimp Tomato Spinach Pasta in Garlic Butter Sauce, fresh pairs with comforting—and the result is pretty amazing. 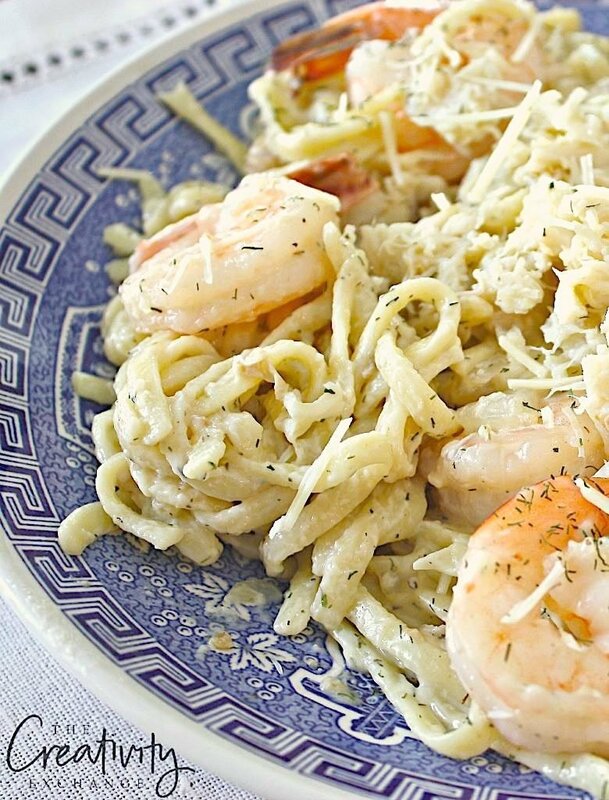 There’s something about the combination of lemon, Parmesan cheese, and shrimp. 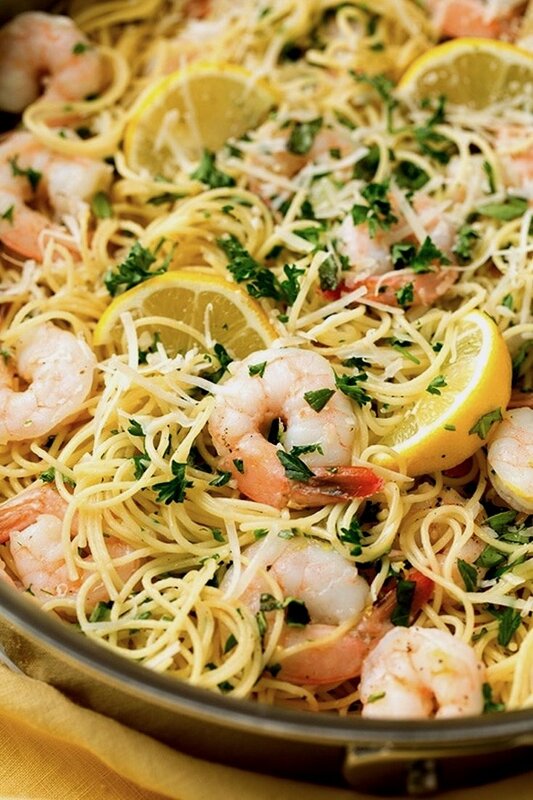 One bite of this Lemon Parmesan Angel Hair Pasta with Shrimp, and you’ll be hooked. 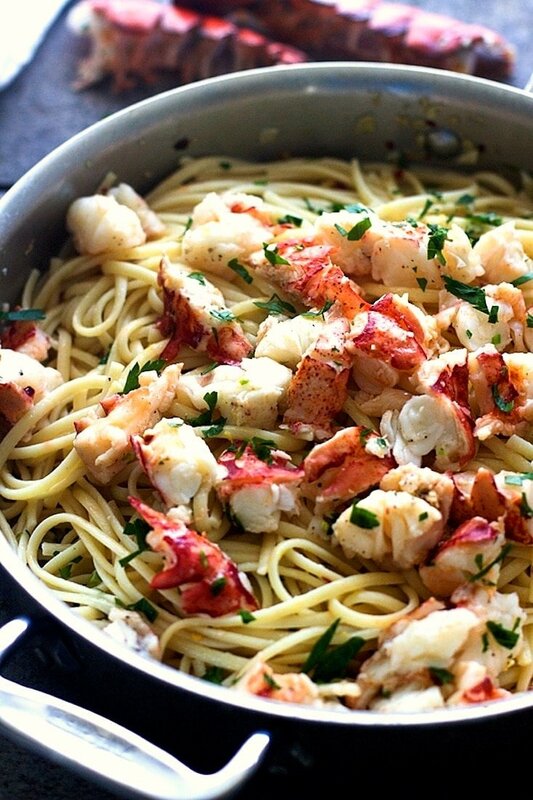 This Easy Lobster Scampi with Linguini feels high-end enough to wow guests but is really quite easy and affordable, especially if you can find the lobster on sale. 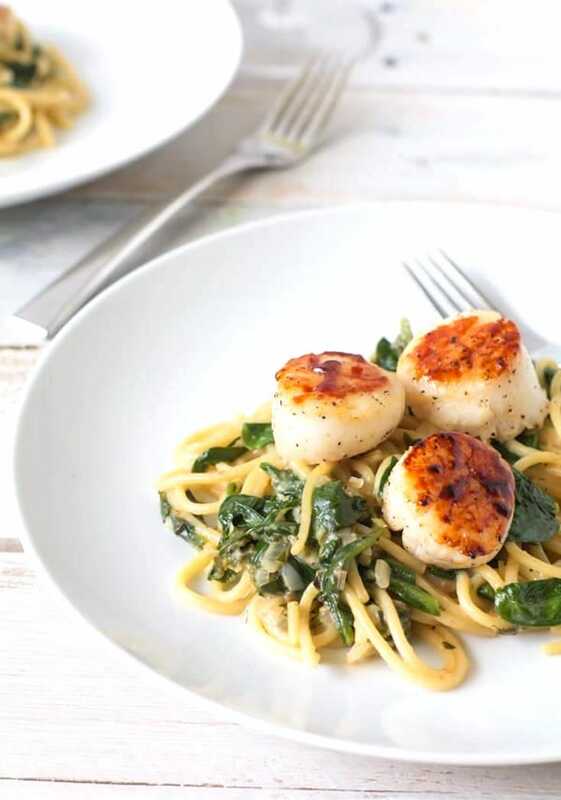 In this Seared Scallops with Lemon-Spinach Pasta, plump scallops sit atop a bed of pasta delightfully flavored with lemon, spinach, herbs, and Parmesan cheese. 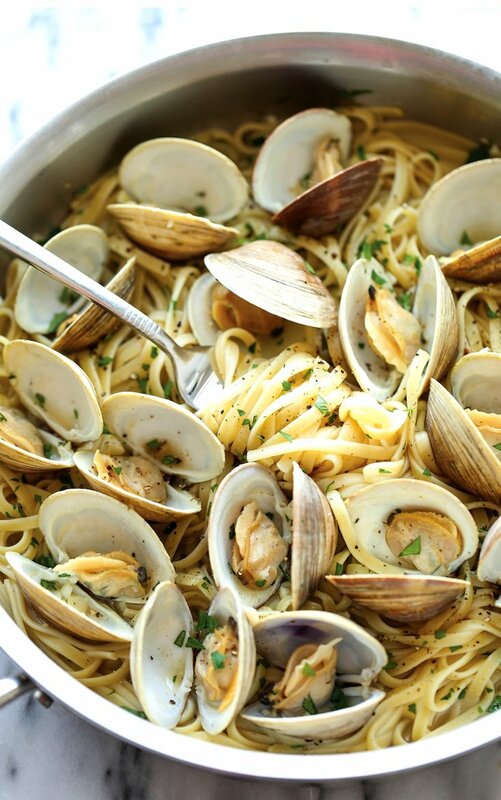 Fresh steamed clams steal the show in this lovely Easy Linguine with Clams recipe. When pairing meat with pasta, keep pasta’s shorter cook time in mind and choose either precooked proteins (hello, last night’s leftover grilled chicken!) or allow yourself a little time to cook the meat separately before tossing it with the pasta. The results will be worth it! 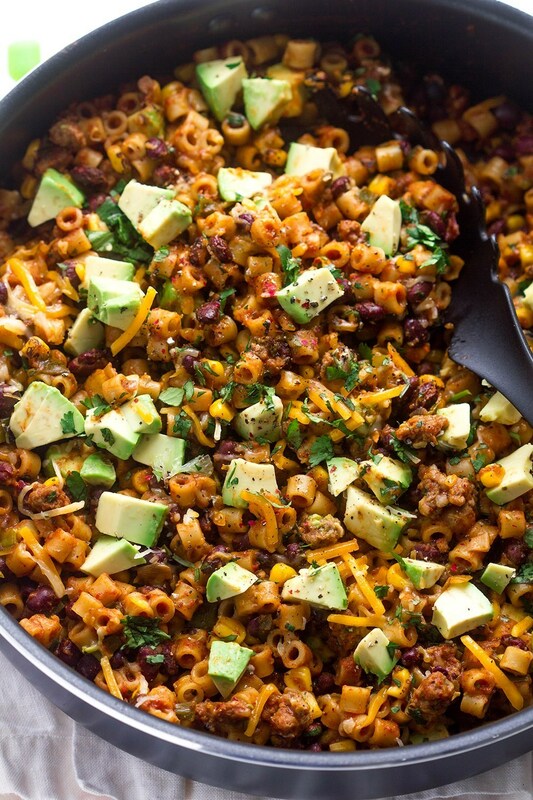 Small ditalini pasta plus your favorite taco ingredients and seasonings equals One Pot Pasta: Tasty Taco Mac. Bonus: this recipe is incredibly customizable. 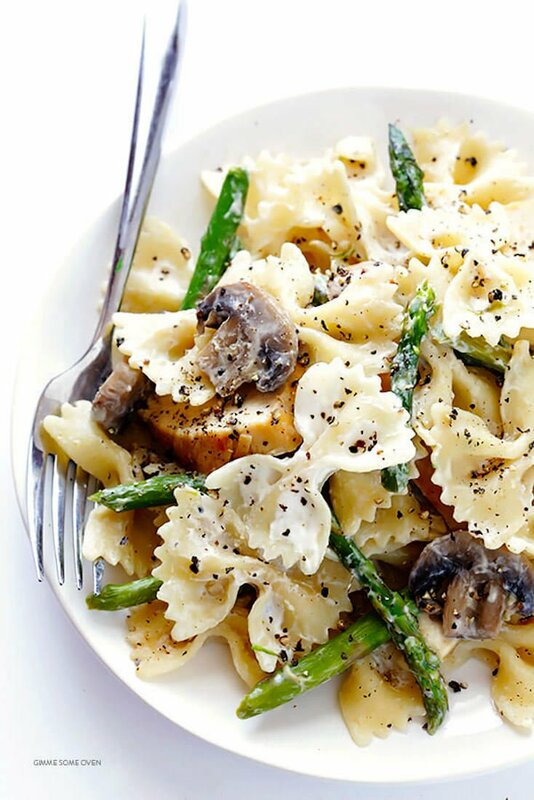 A little bit fancy and a little bit comfort food, this Pasta with Goat Cheese, Chicken, Asparagus, and Mushrooms checks all the boxes. Got leftover grilled chicken from last night’s dinner? 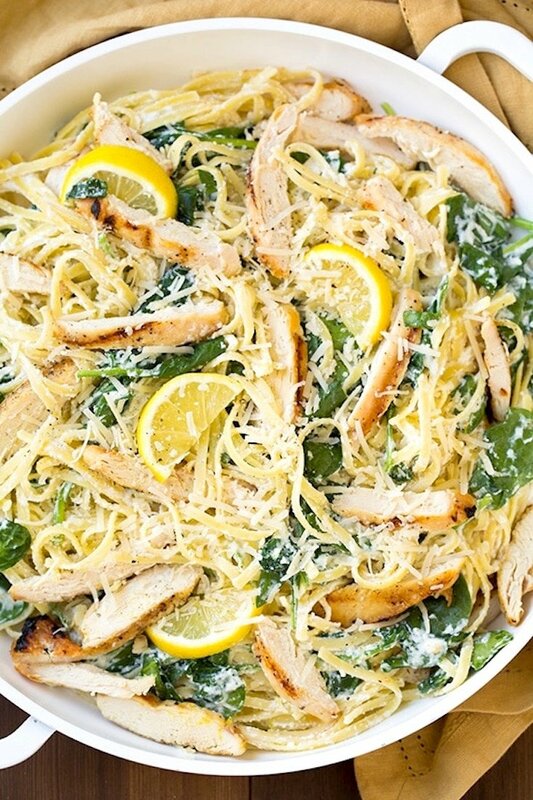 Toss it with steamed spinach, pasta, and a few other flavorful ingredients, and you’ve got Lemon Ricotta Parmesan Pasta with Spinach and Grilled Chicken. 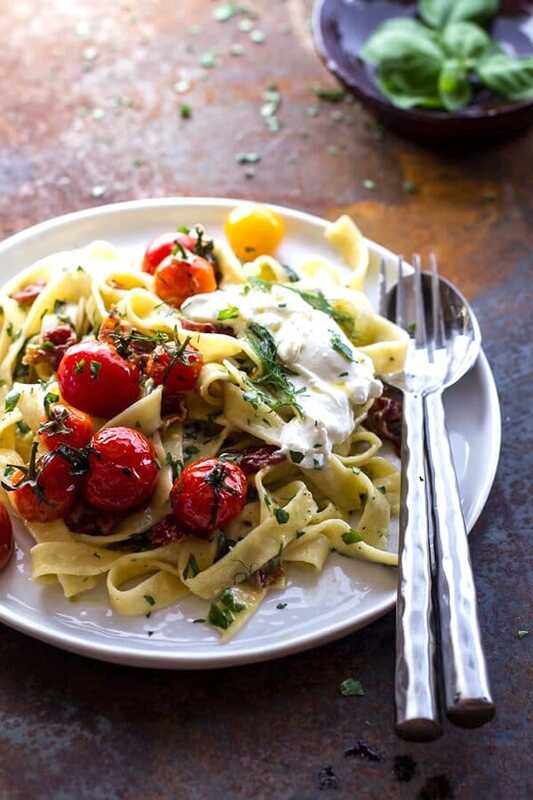 Made with a mix of simple and indulgent ingredients, this Garlic and Herb Roasted Cherry Tomato Carbonara with Crispy Prosciutto and Burrata feels decadent. 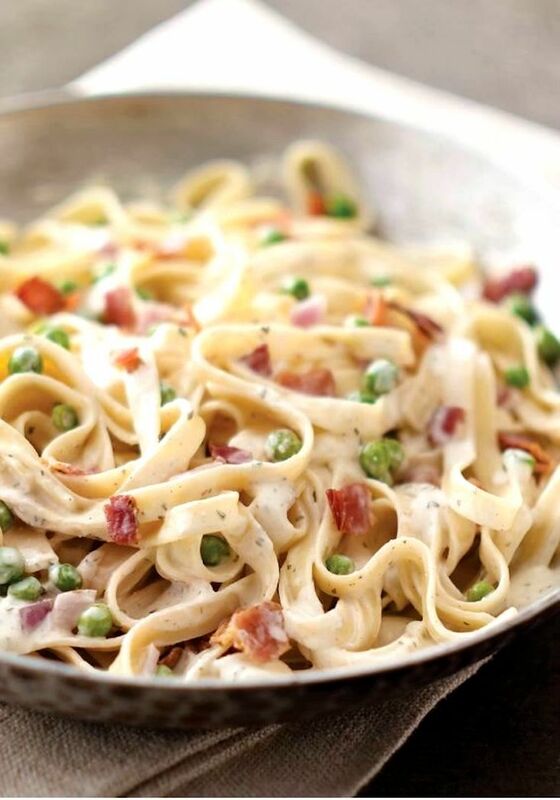 Creamy, rich, and bacony, this Philadelphia Quick Pasta Carbonara is comfort food defined. These creative pasta recipes demonstrate how deliciously versatile pasta can be, but they’re just the start. What unique and tasty pasta dishes can you come up with? These recipes look so good . I’ll definitely be trying some of these out .